Cheap advertising banner signs are available at low rates for our clients. We make and delivery banner signs everyday and pass online sign company savings directly to our advertising clients. 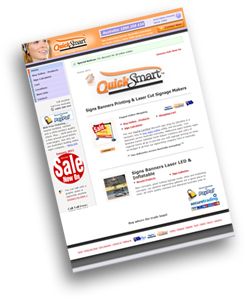 We give you the online discounts you expect on the internet. Banner Signs are often used in the place of more rigid signage. 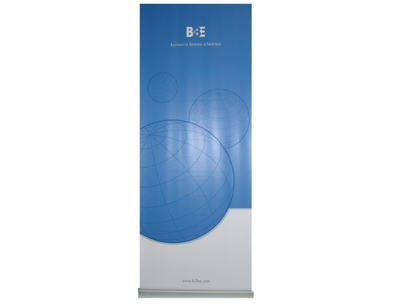 Because they are outdoor banners, they are printed on very special PVC sign vinyl, and then seamed around all four sides for added strength and wind resistance. Grommets (eyelets) are applied where necessary for easy hanging. 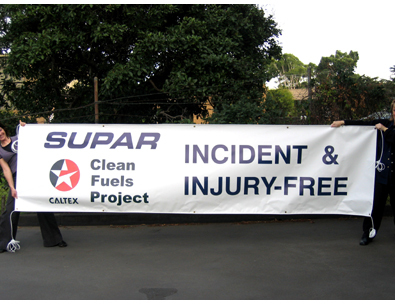 Banner signs can be tied down, or screwed down, and will advertise your product with high impact. Major graphics can be sign printed onto PVC Vinyl Canvas Banner Signs. 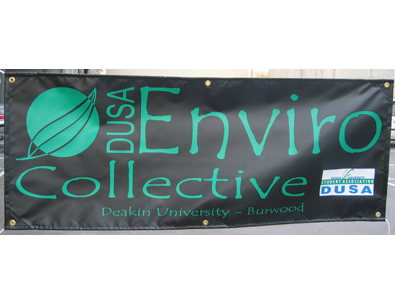 Our sign company in Australia can expertly finish your sign printing with easy fixing options. You can also mount your banner sign without eyelets by asking for "pole pockets" instead. This way they can be mounted on pole at top and bottom, left or right. The pole can be part of a mounting bracket arrangement, or, if it is made of wood or plastic, can be screwed directly to a surface. Our new system of elastic ties and ropes allows easy updates, you can also go to our special banner dedicated site for online sign company prices and online banner material color choices. 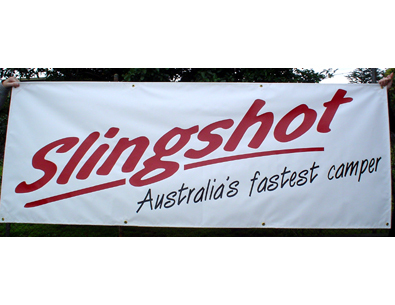 Vinyl Canvas Banner Signs Delivered all over Australia. 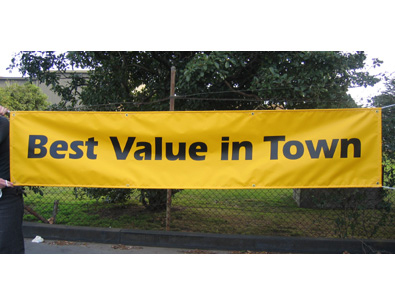 Banners have various uses, ranging from short-term promotions, to long term advertising and marketing campaigns and are a cost effective way of achieving a high impact promotion for your business sale, sports event and more. 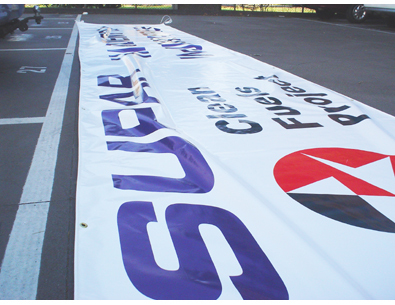 We can make really big or regular sizes outdoor Vinyl PVC canvas banners.